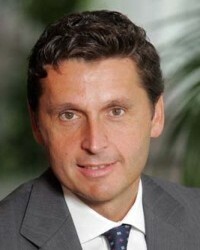 Salesforce.com, the well-known enterprise cloud computing company, today announced the appointment of Miguel Milano to the position of president, EMEA and executive vice president, EMEA sales. He will report to Hilarie Koplow-McAdams, EVP, worldwide sales, Salesforce.com. Milano was previously an executive at Oracle, where he served as SVP, head of European sales for Exadata and the leader of Oracle Direct, EMEA. Prior to Oracle, worked at companies such as McKinsey, i2, Telefonica and PeopleSoft. Milano holds a degree in engineering from Polytechnic University of Catalonia as well as an MBA from MIT Sloan School of Management.